Sure! First of all, thank you for inviting me for your blog, Fiona! My name is Ammar Habib. I am 24-years-old. I was born, raised, and still currently reside an hour south of Houston. So I’m a true blue Texan! Well, I was and raised in Lake Jackson, TX (I still live here). My mom and dad moved from Pakistan and to America in the mid-1980s before settling in Texas in 1989. I have a bachelors degree in Business Management (which I’ve never really used) and my passion has always been writing! My dream is to be a New York Times Bestselling Author in the near future! 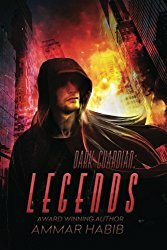 My newest release is Dark Guardian: Legends. It’s the third novel in my Dark Guardian Trilogy. The Dark Guardian Trilogy is a superhero/vigilante, action/thriller series. It follows the adventures of Ethan Daniels and his alter ego of the vigilante called The Guardian. Throughout the series, Ethan battles many dark forces, some worldly and others more mystical. The series was inspired by many of the comics I read growing up along with a lot of my own imagination. It currently contains three novels and four shot stories. 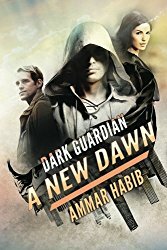 The novels are Dark Guardian, Dark Guardian: A New Dawn, & Dark Guardian: Legends. But outside of books, the other main thing that acting as a catalyst for my writing was my 2nd Grade Teacher at AP Beutel, Mrs. Scott. When I was in her class years ago, she gave me a homework assignment to write a one-page story. This was the first time I ever wrote anything. 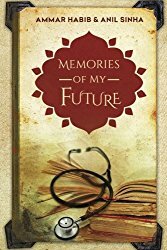 That experience breathed the love of writing into me and I’ve never stopped since! I’ve always thought of myself as someone who enjoys writing. But it was after I signed my first book contract that I considered myself to be a “real” writer. I’m a big fan of action stories in all genres (books, comics, movies, etc.). So my reading of the genre was definitely a major inspiration. I’ve also been blessed with a constantly active imagination since childhood which never really shuts down, so that is another major source of inspiration. The titles for all my novels carry some sort of symbolism. 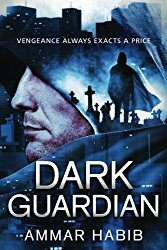 For example, Dark Guardian, was an appropriate title for the first novel because the protagonist, Ethan Daniels, acts as a guardian for a lot of people throughout the novel. It starts off with his sister, but then transcends into multitudes of people whom he protects by the end of the novel. Also, he is a darker character with a very dark side to him as well. My writing process always begins with a theme. I ask myself, “Why should readers read this? What do I hope they get out of it?” As entertaining as I hope my stories are, I want them to hold some sort of moral lesson or theme for the audience as well. At the same time, I don’t want to slap readers in the face with this ‘theme’. Instead, I want to show it in the characters and story arc. So I take a lot of time in figuring out who my character are. As far as pre-writing goes, I probably spend more time fleshing out the characters than I spend on anything else. Many times, putting in the effort to create three dimensional characters is the separator between good and great work. However, with that said, my writing process is very fluid. I like to try and create an outline before I go into the actual writing. But many times I find myself starting the first draft before I’ve even finished my outline. The inspiration comes in bursts so I try to capitalize on those bursts as much as I can. I find that being too stringent on my writing process can actually become a hindrance. As far as inspiration goes, I honestly draw inspiration from everywhere. I’ve had a huge imagination since I was a child, so that is usually my biggest source. I have a hard time switching my imagination off, which can be a problem when somebody is trying to talk to you and you’re imagining a battle scene in your head! The other place I really draw inspiration is from the world around me. I try to stay observant because sometimes the best inspiration passes by right in front of you! Just like Ethan, I’m a vigilante and spend my time beating villains to a pulp (just a little joke there). Honestly, I have found more of myself in Ethan than I originally thought. One of his traits that I personally do possess to a fault is his trait of always being his biggest critic. I find myself often overly-criticizing myself when it comes to several areas of my life, especially my spirituality and writing. I am definitely more of a loner like Ethan is as well, and I think I unconsciously showed that side of myself when writing his character. There are other parts of Ethan which are nearly the opposite of what I am, such as him being tall, dark, and handsome! I’ve never travelled to research any particular project. However, I do love to travel and have gained a lot of inspiration from it! All my covers are designed by Fiona Jayde Media. That’s a great question. For my Dark Guardian Series, every novel in the series has a specific theme that the novel’s plot was built on. The first novel has a theme of freedom in which Ethan must choose whether he’ll let the tragedies of his past control his life or if he will take control of his own life. It also contains a theme about the power of love and how that can save a person from losing themselves. The second novel possesses a theme of “hope in the darkness” and “sacrificing for the greater good.” In this story, Ethan is deep into his mission as The Guardian, but his quest is starting to eat away his soul. He spends much of his time as a torn character, constantly having to stop himself from crossing over the line and becoming the monster he knows he can become. He keeps holding onto the light at the end of the tunnel that he believes is waiting for him on the other side of his mission. The third novel contains a theme of legacy and the idea of acting as a beacon for others. In this book, Ethan’s actions as a vigilante have become a global sensation that has inspired many others. He must now be that beacon for others in many ways and try to keep his legacy going beyond his own life. This book culminates the entire series’ ideas about heroes and sacrifice. Having the stories build on themes that I believe most people can somewhat relate to helps bring this somewhat supernatural story to the common reader’s level and helps the audience connect to the story. I believe this makes the books appealing to the general reader and so far it has proven true. Outside of my immediate family, most people I knew were either somewhat supportive or neutral before I got my first book contract. However, I will say that many of my former teachers and many f my close friends were always very supportive of my writings. Yes, absolutely! By the end of next 2018, I’ll have 8 novels out God-Willingly (not including any of my short stories) so it’s defiantly a career and not a hobby. Honest, nothing in terms of the plot or ending. But then again, the novel just came out a couple of months ago, so it’s still very fresh! Yes I did. Concluding a trilogy is much harder than I had previously thought, especially finding an ending that is not cliché but fits the tone of the series. If I had a time machine, it’d be Mel Gibson from his Mad Max days. He possesses everything from the physique, attitude, and overall look of Ethan. He also has the acting chops to really knock any role out of the park and I’ve always admired the way Mel Gibson can use his eyes to deliver emotion. However, if I had to choose from a current actor, I think the actor Lucas Till could pull off the character. I honestly have not watched too many of his films, but he seems to possess the same type of slightly cocky charisma Ethan demonstrates and also has the right physique! I’ve learned a lot about the industry over the past few years. What I’ve seen is that along with filmmaking, it is probably the most subjective industry out there. A writer may spend months perfecting their story, putting their heart and soul into it, staying up the whole night working on it, only for an editor to reject it with a short sentence of vague reasoning. That’s what can make the industry very frustrating. What I tell people who ask is that you need to write something that you believe in. Don’t worry about what others think about it. If you think it’s a great story and one that needs to be told, then write it! The other thing is that writers need to have thick skin. Editors and agents reject hundreds of works a day, so never take it personal. Even critics give bad reviews all the time. But if you believe in your work and did your best, then never let the opinions of anyone tear you down. Write stories that you’d want to read, regardless of what others say! I always say that a writer is nothing without his readers and I truly appreciate each and every person that has ever took a chance and picked up any of my novels or stories! You all rock! I’m reading a couple of Indie graphic novels that a fan sent to me as a Christmas Gift! I believe the first book that I ever read on my own was Peter Rabbit. Being able to read something by myself was a truly liberating moment as a child. My hobbies are writing… and writing… and writing! I love the action/hero genre! My favourite stories are character-driven stories of redemption where a hero finds their purpose once again. I’ll eat just about anything outside of pork. My favourite colour since childhood has been blue. And I like all kinds of genres of music, but am more picky on the lyrics and enjoy songs that have more uplifting lyrics. I would find a way to write! And if that didn’t work, I’d probably become a director (because that’s just basically writing, but using real people instead of fake ones)! Thank you very much for the interview, Fiona! It was a real pleasure! 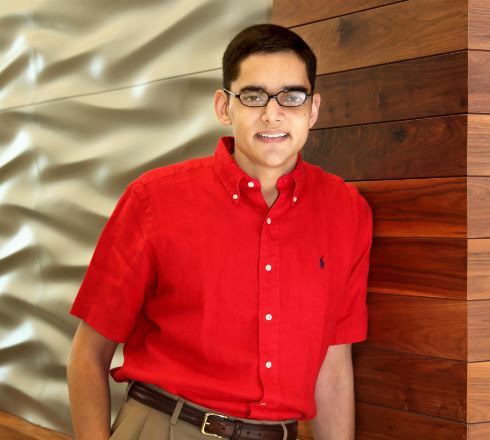 Ammar Habib is an award winning & bestselling author who presently resides in his hometown of Lake Jackson, Texas. Writing has always been a passion of Ammar’s. He enjoys crafting stories that are not only entertaining, but also have something useful to say to the reader. Completing a trilogy at 24 is quite an accomplishment. Best of luck to you achieving even more!